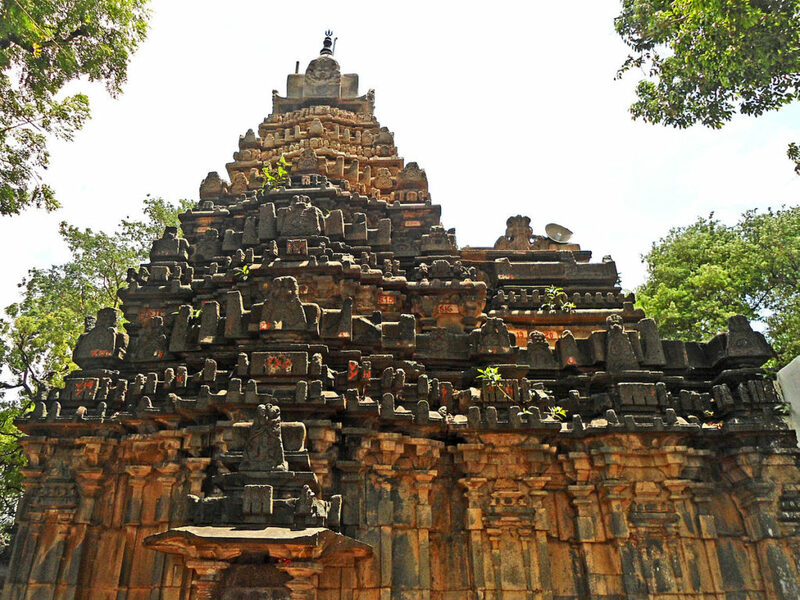 Pachala Someswara Temple is an ancient temple dedicated to Lord Shiva. In this temple, Shiva Linga is sculpted in green colored stone. In local language Telugu, Green color is called as “Pacha” hence the temple is called as Pachala Someswaralayam. As like many Shiva Temples, there is a Nandi statue in front of garbhagriha. The temple was built during Kakatiya period in 12th Century. The temple architecture is very impressive and the Hindu mythological stories (Shiva and Vishnu stories) are engraved on the walls and pillars. There is a large Mandapa in the temple with seventy-six pillars. Panagal village in Nalgonda district is also home to other ancient temples like the famous temple Chaya Someswaralayam & Sri Venkateshwara Temple. There is a heritage museum near the temple, maintained by Govt. of Telangana.